Li Shufu, a farmer’s son from China’s Zhejiang province who recently became the unlikely chairman of Volvo Cars, was looking for some cheer from Ford Motor Co’s finance chief Don Leclair in his office at Ford’s glass-sheathed headquarters. A year earlier, a new model made by his company Geely, which means auspicious in Mandarin, had made an unfortunate debut at the Detroit show. This was despite a sticker price of less than $10,000 that was meant to make it the “VW Bug” of this century. Unable to get space in the main hall, Geely Automobile Holdings parked its homely sedan in the lobby of Cobo Hall, where it looked forlorn during the black tie gala. The chrome lettering on the drably named MR7171A model on display had been unevenly applied, the tires were dirty and only partly inflated, and the interior was heavy on plastic. Li, now 47, had succeeded in China by marketing “the world’s cheapest car” to an emerging middle class in the country’s inland cities. But his Geely model was mercilessly panned in America. You get what you pay for, people said. “I just remember engineers from the other car companies coming to look at the Geely, peer under the hood and then walk off holding their noses,” said John Harmer, a former California politician who was a consultant to Li’s aborted attempt to crack into the US market on his own. Li abruptly abandoned plans to take the US market by storm with his people’s car after that fiasco. Leclair, a lifelong veteran of Ford’s finance operations, took that first meeting with Li in January 2007, freezing rain pounding against the office windows at One American Road in Dearborn, a Detroit suburb, as a courtesy call. His focus for months had been trying to stop the staggering cash burn at Ford. Weeks after Li’s visit, he would announce Ford had lost $12.6bn in 2006 and would cut almost 44,000 workers. The Geely visit, people involved in the preparations say, barely hit the radar for Ford’s senior management. By the time the next Detroit auto show rolled around, Li, who had started Zhejiang Geely Holding Group as a refrigerator parts-maker with a loan from his father in 1986, was no longer dreaming about taking America by storm with the cheapest car on the market. Now his ambition was to have a renowned luxury brand in the stable of one of China’s biggest private automakers. Thus began a roller-coaster journey ending with Li’s purchase of Volvo Cars from Ford, and crowned by his appointment as chairman of the Swedish auto icon. It is the biggest acquisition of an international auto marque by a Chinese enterprise and will be scrutinised closely in the months to come for how it pans out. China’s track record in acquiring international brands has been mixed at best, particularly in the auto industry. State-owned SAIC Motor Corp’s takeover of South Korea’s Ssangyong Motor ended with Ssangyong in receivership. Chinese officials this year squelched plans by a little-known machinery maker to buy the Hummer from GM. China’s attempts at piggy-backing on a big brand name have stumbled badly over issues of management, marketing, use of technology, dealing with unions, and cultural integration. Assuming approval by China’s regulators, Geely faces an additional challenge of turning around a company with an expensive cost base and with a stodgy image as a maker of safe but boring cars. “Geely is going to have to ask why Volvo wasn’t successful in the past and what it will take to make it successful now,” said John Bonnell, senior director of strategic advisory services for JD Power Asia Pacific. Ford had tried without much success to change some equations at Volvo. So when Li and Leclair met for a second time during the 2008 Detroit show, the finance chief was intrigued when the cherub-cheeked Chinese billionaire made an offer for Volvo, which was bleeding money for Ford at a time when the world’s fourth-largest automaker was trying to keep itself afloat. As months of working-level talks dragged on over the deal, the global financial architecture started to get shaky. The American auto industry, dependant on a web of consumer financing mechanisms, was plunging into crisis. But Ford Chief Executive Alan Mulally said he wanted to finish the work of restructuring Volvo before moving ahead with any sale. Li found himself the jilted suitor again. By December 2008, with credit markets paralysed and Ford’s cross-town rivals GM and Chrysler lurching toward bankruptcy, Mulally was ready to listen to offers for Volvo again. John Thornton, a Ford director and former Goldman Sachs executive working in China, met with Li in Beijing days after the announcement. The Geely bid had new life and nine months later it was named the preferred bidder. In January 2010, almost three years to the day after his courtesy call with Leclair, Li returned in triumph to the Detroit auto show, having reached a deal in principle to buy Volvo for $1.8bn – less than a third of what Ford had paid a decade ago – plus an additional $900m in investment. This time, Li was ushered in to meet both Mulally and Ford Executive Chairman and founding family scion, Bill Ford, to hand over the keys to Volvo. The agreement is the latest example of China’s growing clout on the international stage. It also reflects Beijing’s aspirations to build global brands that carry both prestige and higher profit margins in a drive to transform China from workshop of the world to a name that equates with quality and innovation. It’s been a work in progress. The previous auto deals weren’t the only debacles. China’s TCL Multimedia took the industry by surprise in 2003 when it acquired the TV business of Thomson SA, maker of Thomson and RCA brand televisions. Sister company TCL Communication would later buy Alcatel Lucent’s cellphone business. Both of those would end in failure, as the two TCLs struggled to turn around businesses in foreign countries with very different labour practices and costs. Chinese PC maker Lenovo bought IBM’s PC business in 2004 for $1.25bn, a move that many trumpeted as China’s arrival onto the global stage. Lenovo struggled to turn around IBM’s Western-focused business, but after a wrenching restructuring, it has played down those assets and returned to its roots as an emerging markets specialist. Geely hopes to flourish where others foundered. Volvo Cars posted revenue of $12.4bn in 2009 by selling 334,000 cars, but recorded a pre-tax loss of $653m. Geely sold nearly the same number of vehicles, generating just a sixth of Volvo’s revenue, but posted a net profit of $175m. The Chinese automaker also has experience with a foreign brand, having bought 23 percent of Manganese Bronze, England’s famous maker of black cabs, for £53m ($80.7m) four years ago. Li, usually a voluble executive who loves to discuss cars, his philosophy, and plans for Volvo, declined requests for interviews while the takeover awaits regulatory approval. But it was clearly the self-made auto tycoon’s drive that was key to putting together a long-shot M&A deal that has traveled across three continents, from its origins in Detroit to Volvo’s home turf in Europe, and back to China where regulators are expected to give it the official nod any day. “There is little or no Chinese intuition around M&A because there simply hasn’t been enough of it,” said Meyrick Cox, a banker at Britain’s Rothschild investment bank, one of the key players who helped put together the financing. That is bound to change. Over the course of the deal, China surpassed the US to become the world’s largest auto market, as the industry underwent painful restructuring during the global downturn. The world’s third-largest economy also became home to four of the world’s 10 largest banks. The balance of economic power was turning. Ford had acquired Volvo during the brief and ill-fated tenure of Chief Executive Jacques Nasser, a hard-charging Australian who took the top job in 1999 when Ford was riding high on a truck and sport utility vehicle boom in its home market. At the time, Ford was the world’s most profitable automaker, and saw its $6.45bn Volvo buy as a way to round out a stable of luxury brands that also included Britain’s Jaguar and Aston Martin, as well as Land Rover. In those brief boom times, Nasser set up swanky headquarters in Southern California for its luxury brand unit with a separate lobby for each brand, including one decked out with a coffee bar and Scandanavian furniture for Volvo. When petrol prices started soaring, the gas-guzzlers stopped selling. Ford sold Aston Martin in 2007, and then sold both Jaguar and Land Rover the following year to another developing world up-and-comer, India’s Tata Motors. As Ford’s troubles mounted with a record $14.8bn loss in 2008, Mulally, a Boeing veteran brought in to staunch the red ink, publicly announced Volvo was for sale. Following Ford’s initial rejection of his offer in 2008, Li put together a team of European bankers and advisers to make another run at Volvo. Rothschild’s Cox, an Eton-educated engineer who considered a career as a race car driver before settling on high finance, said his main tasks were figuring out how to finance a deal, and making sure that China’s risk-averse regulator would view Geely as a front-runner for Volvo. “The will was clearly there. The question was: Would we be able to make it happen? Would we be able to get Ford to take Geely seriously?” said Cox, who flew from London to Geely’s headquarters in the picturesque city of Hangzhou, just south of Shanghai, to discuss how to move ahead. Rothschild put together a team that included Jennifer Yu, its head of investment banking for China, and wife of former Chinese President Jiang Zemin’s adopted son, to help smooth relations with the Chinese government. Others included former Volvo chief executive Hans-Olov Olsson, and a group of lawyers that had helped Ford buy Land Rover from BMW a decade earlier. In China, Li put Chinese with overseas experience in major Western corporations on the team. Ford tried to attract other bidders to keep the process competitive, but only a handful of potential bidders emerged. They included China’s fifth-largest carmaker Beijing Automotive Industry Holdings (BAIC), and US and Swedish investor groups known respectively as the Crown and Jakob consortiums. Geely’s advisers believed neither the Crown nor the Jakob bids were serious. “We knew how much work we’d done in order to deal with the mountain of agreements and data, and it was quite clear nobody else could have been doing that,” said Chris Bown, a mergers expert at Freshfields Bruckhaus Deringer. The financing was split about half-and-half between Chinese and international financing, Geely sources said. Geely delivered a legally binding bid in July 2009, kicking off months of negotiations, which Ford code-named delta, before an agreement was reached in January and the deal signed in March. One of the toughest struggles in the negotiations was just how interwoven Volvo had become with the wider Ford Motor Group including safety and in-car-entertainment equipment. Volvo shared engine platforms and parts with Ford brands, while it relied on hardware and electronic-architecture work done at Ford. “Ford and Volvo are, to this day, still very intermeshed,” says Cox at Rothschild. Leaks in October highlighted disagreements over patents and intellectual property rights that threatened to kill the deal. In the end, the takeover terms gave Geely some of the technology. Ford got to keep other bits, but has to license some of it to Geely for use in its own operations. That should allow Geely to improve the quality of its own cars, and grow sales. As the talks progressed, the Geely team faced a huge public relations task to convince Swedish and Chinese stakeholders the deal made sense and wouldn’t end up like other failed Chinese M&A ventures. Volvo’s powerful unions worried factory jobs might take a fast boat to China. “We didn’t know what Geely was, or at least I didn’t,” said Maria Akterius, who leads a team of about 40 at Volvo’s factory in Torslanda, on the outskirts of Volvo’s Gothenburg headquarters. The Swedish media also played up concerns production might move to China, given the huge disparity in labour costs. That in turn put pressure on the Swedish government. Li played a key role in selling the deal to the unions. “When they (union officials at a Volvo plant in Belgium) asked me to tell them in three words why I want to buy Volvo, I said ‘I love you’,” Li told Shanghai TV after the deal was signed. “I had studied Volvo for many years and know it so well.” The union didn’t show its affection for the deal until just before the 10,000-page deal was signed in March, and only after receiving reassurances about job security. Like Volvo’s European plants, Geely’s state-of-the-art factory in the port city of Ningbo, just across Hangzhou Bay from Shanghai, is highly automated. Unlike Volvo, its shops are not unionised. And despite the recent wave of labour unrest in China’s factories, particularly those with some foreign ownership, the workers seem proud of their indigenous enterprise. Geely plans to build a Volvo plant in China that would nearly double its annual global production, and aims to sell 150,000 Volvo cars in China annually by 2015. It has yet to pick a site for the plant, but Shanghai is a likely candidate. That appears to be a major selling point in getting Chinese regulatory approval. Two agencies have the power to veto the sale, the Ministry of Commerce and the National Reform and Development Commission (NDRC), China’s powerful state planner, whose approval would be required for any major new investments by Geely. Auto analysts say China’s approval is almost certain and nothing seems to stand in the way of Geely and Ford concluding the takeover in the third quarter, the stated closing date for the deal. But the road after that looks no less rocky than the journey to bring the deal to fruition. Opinions are divided on Geely’s turnaround strategy for Volvo based on achieving greater economies of scale, not to mention its lack of experience managing a foreign firm. “I have been through a lot of mergers and acquisitions in my career and they are difficult, even in the same culture,” said Scott Laprise, an analyst at CLSA bank. 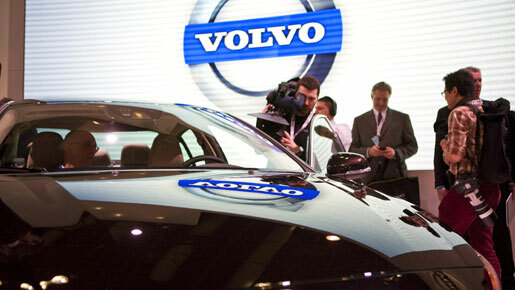 Geely has said Volvo is already moving back toward the black as the global recession recedes. China’s main problems with overseas M&A owe more to lack of homework and preparation than any other intrinsic problems, said Wang Dazong, president of BAIC, a rival bidder for Volvo, which acquired rights to some car designs from GM’s Saab last year. Li has maintained throughout that Geely must keep Volvo as a separate Western premier brand – and grow that brand – for the turnaround to succeed.